1. Always be aware of weather conditions. Wind may prevent travel on any of our suggested routes. Monitor channel 1 or 5 for all weather conditions. If in doubt, call our base on channel 09 for travel recommendations. 2. Gas usage is estimated. We have based estimates on experience and single engines running at 2800 RPM’s. Remember that low RPM’s allow the engine to sip gas, and high RPM’s allow the engine to gulp fuel! Note; generator fuel is not included in gas estimate. 3. Some sites or areas of the park may be closed due to nesting eagles, nuisance bears or any reason the park deems. Please refer to the manual in the houseboat for these closures. 4. Navigation should only be done by maps provided by Ebel’s. 5. 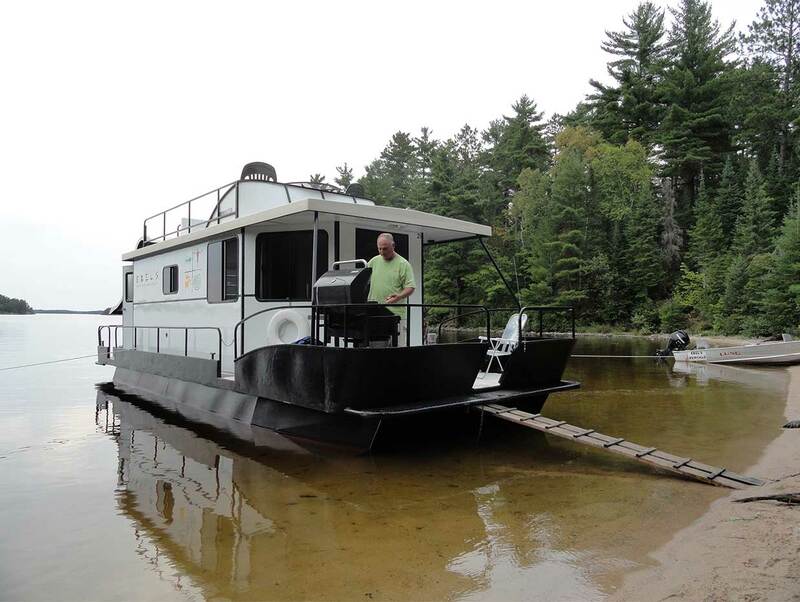 Houseboat sites are on a first-come-first-serve basis. Each site will have a fire pit and mooring post/rings. You are also welcome to moor at an undeveloped area, as long as the boat is 200 feet away from a developed site. 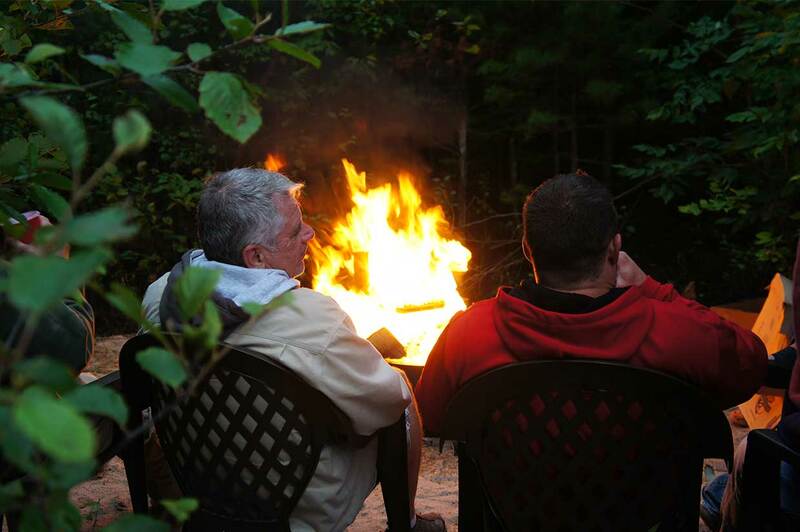 You cannot have fires unless the park service has provided a fire ring. 6. DO NOT USE CAMPSITES OR DAY USE SITES! 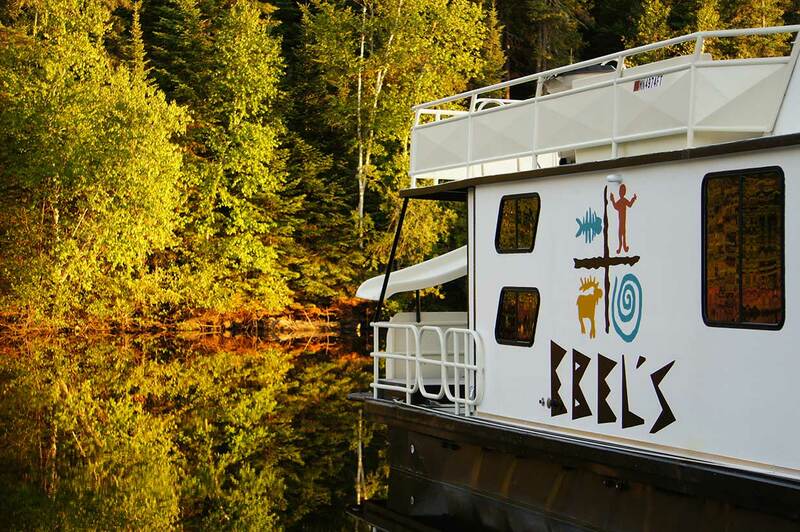 The Kettle Falls area seems to be the number one destination according to our past guests. After your instructor says “good-bye” you will cruise through the stunning Ash River Narrows – take a right and head past green buoy 29. Continue to count down the buoys on the charts all the way to Kettle Falls or stop along the way. Namakan Island – one of the largest islands in the park offers great sites and plenty of wildlife. Use caution when approaching the Kubel Island area because depending on the direction that you choose this is where the downstream waters meet. Also be sure to refer to your navigational map. What to do with an extra summer day!? 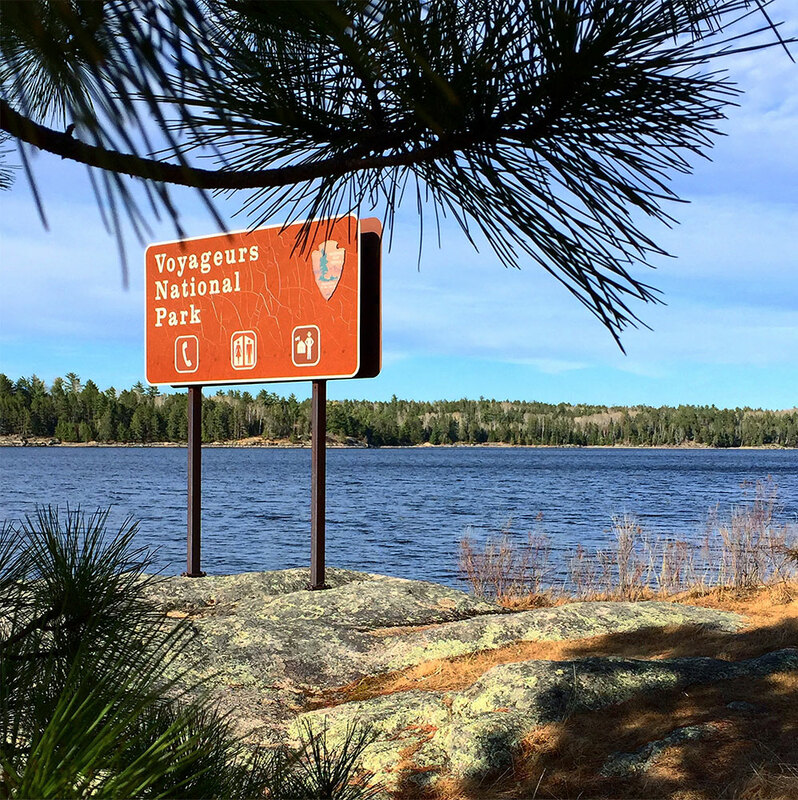 Follow the 3-day route to the Kettle Falls area and upon return, plan on cruising to the Junction or Randolph Bay areas. Fishing in Junction Bay in the evenings may be worth while. The beaches in this area are great and the berry picking is rewarding. Nesting eagles, osprey and great blue heron often nest in this portion of the lake system. Your morning return from the Junction Bay area takes about 3 hours, so be sure to plan on an early rise to make the 9 a.m. arrival! You can really see it all in 7 days! 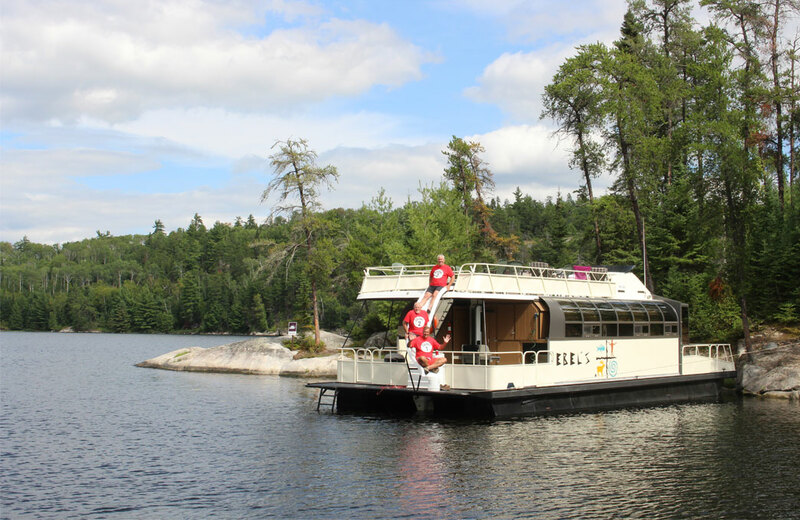 If your group likes to cruise, why not head all the way to Crane Lake? Of course you don’t have to do this in one day (even though you could)! 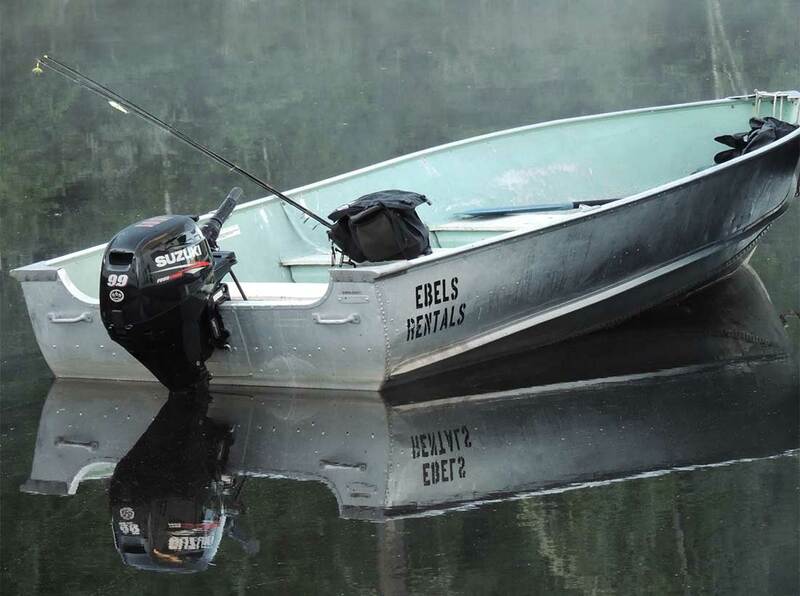 Take 3 days to head east and stop at our favorite site, named “EBELS”! 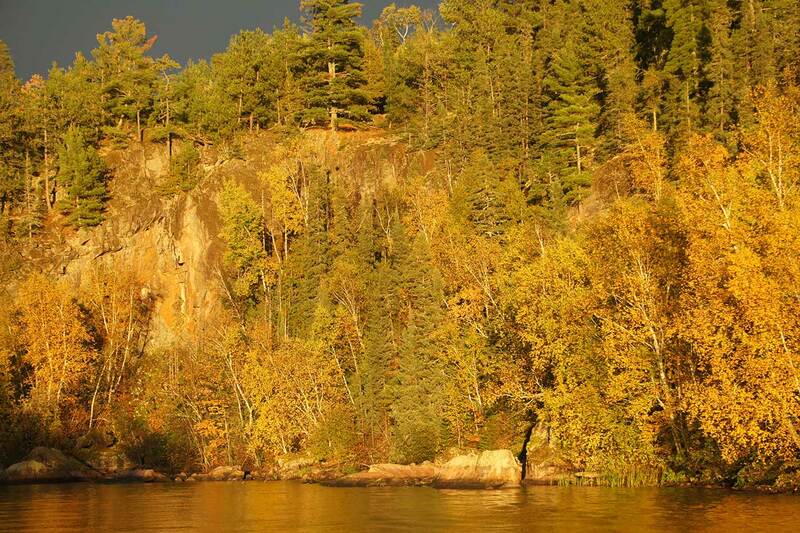 The Namakan narrows is beautiful and this is where you can see native pictographs on the rocks. Sand Point Lake has sites near the Namakan narrows or in the Grassy Bay area. Upon your Crane Lake arrival, visit Nelson’s Resort for a cocktail and some great cuisine. Plan to head back that day, as Crane Lake has only one houseboat site. You passed several sites on the way to Crane, so plan on stopping at one of the beaches you missed. 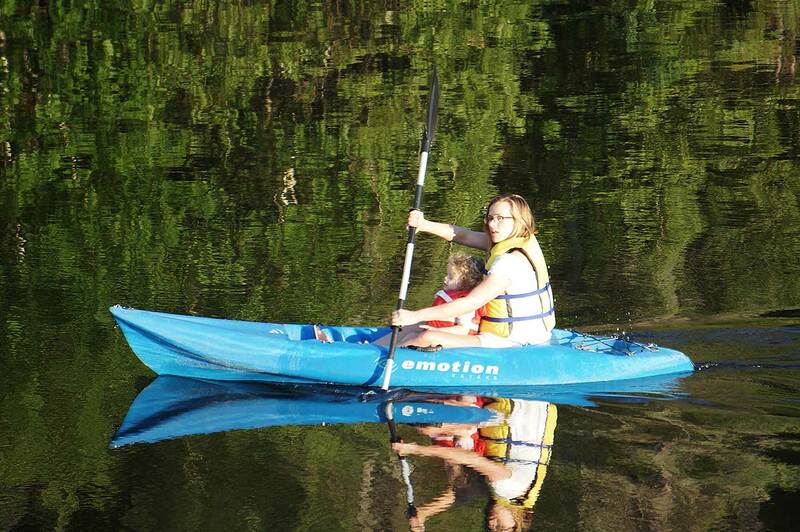 Don’t forget to visit Kettle Falls. Robert Williams bought the hotel in 1918 for $1,000 and four barrels of whiskey! From its somewhat scandalous past dream of the days as you have a cocktail! It’s about a 2 ½ hour trip home if you want to be on time for the 9 a.m. return. Got Fish!? 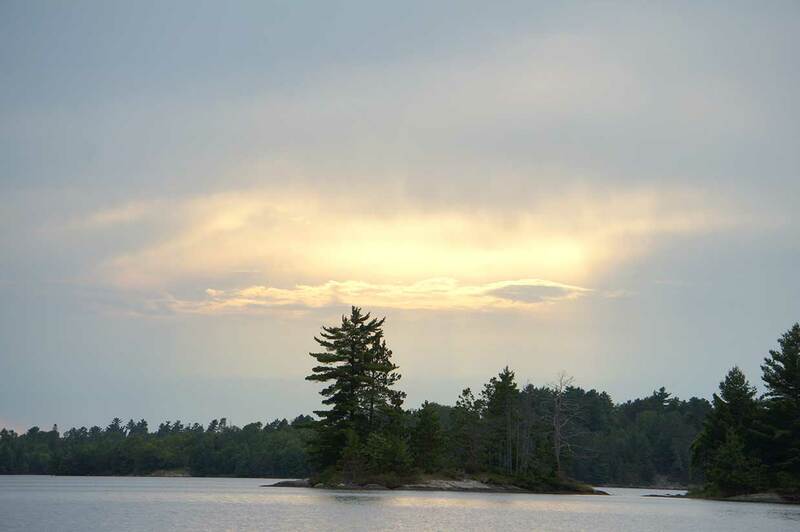 Use your 3 night trip in May or June to fish wothe Sullivanderful Lake Kabetogama. Walleye, Northern, Small Mouth Bass and Crappie are abundant in the cool spring waters. When you leave n Bay area and pass through the Ash River Narrows, take a left (upstream). Head past Wolf Island and turn into Lost Bay. When entering Lost Bay, look for eagles on Yoder Island! There are several houseboat sites in the area, but feel free to use an undeveloped one. Fishing off the back of the houseboat is great, or a short small boat ride to the end of the bay will bring you to the Cruiser Lake trailhead. Take a hike! Your return to the base from Lost Bay is only about 1 ½ hours, so you can get up early and drop a quick line. Have some fresh walleye for breakfast while you cruise to the Ash River in time for a 9 a.m. return! Want more fishing? 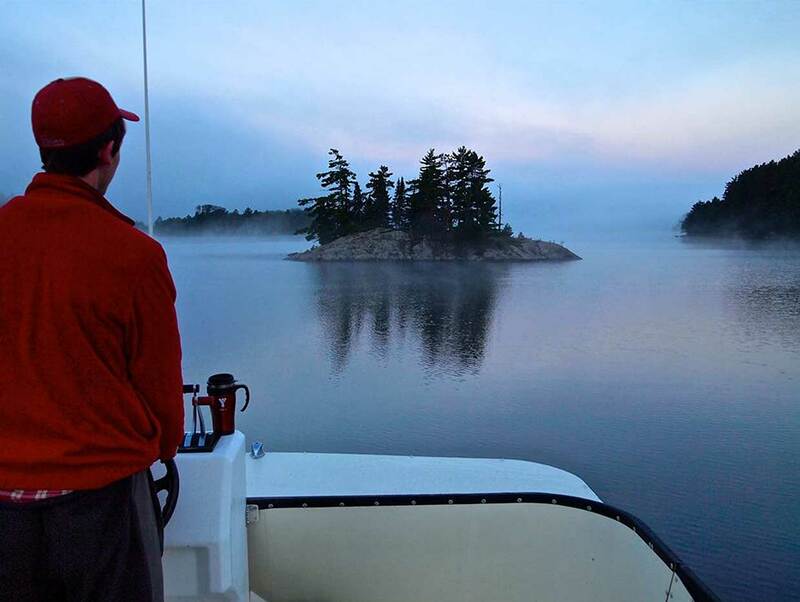 After you’ve tried all the fishing holes in the Lost Bay area and think that it’s time for a change of scenery, pull up the lines and head up to the northwest west end of Lake Kabetogama. Use caution when approaching Nashata Point, as it’s a little tricky around buoy 39. Settle into the Blue Fin Bay area or, Cutover and Sugarbush Islands. If you weren’t planning on fishing your last day, take a small boat ride to the Ellsworth Rock Gardens on the north shore. J.E. Ellsworth created a personal grotto as an expression of his attachment to the lake country. Your return trip to the Ash River base is about 3 hours, so plan on leaving very early, in time for a 9 a.m. return! 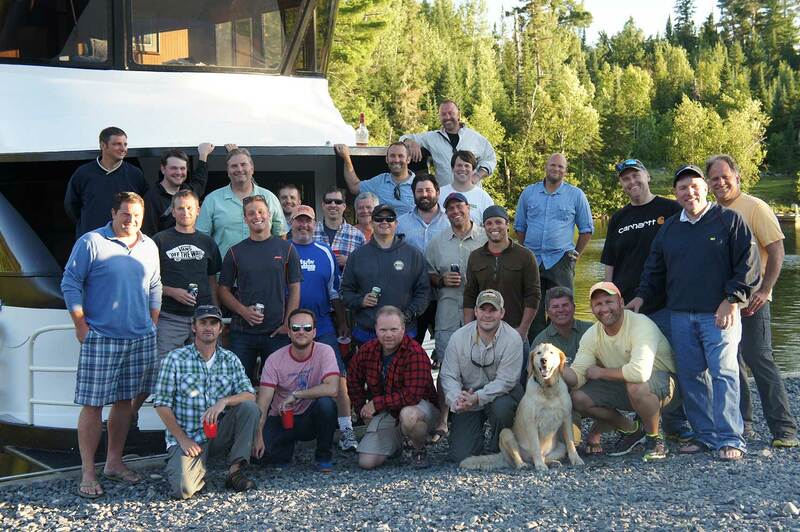 A full week of fishing and fun! Because you have all this time on your hands, cruise to Lost Bay for a few days and if fishing is slow, give Namakan Lake a try. From Lost Bay, head east, past the mouth of the Ash River and buoy 29. You can set up camp within the next 10- miles. Sometimes fast moving water is the place to angle. The Mica Bay area is to the north and only a couple of miles from the Kettle Falls Hotel area. Imagine taking a hike to the dams and being able to look south, yes that’s south into Canada! Take your time on the way back and toss a line in the Junction bay area. Evening fishing is excellent here! Plan on a 3 hour trip for a 9 a.m. return to base.